We provide wide range of enterprise mobile apps development services including mobile UI design, smartphone solutions, custom application and many more. We are widely known as an Enterprise mobile app development company in India. our developers are so well versed with app development that no matter we are dealing with an Android Smartphone or an Android tablet, we will float across scalable App portable enough between the two for an easy migration across screen sizes. In short, we transform client vision into a working product. 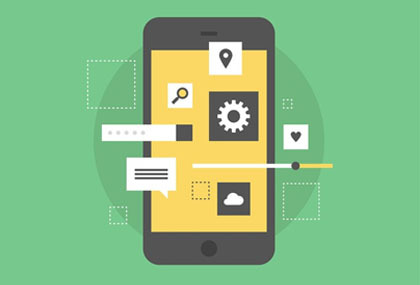 We are the most proficient and intelligent mobile app developers to join the development team and this has created a virtual pool of high proficient designers. A large and enthusiastic team of developers, engineers and creative brains is always ready to meet the challenges of a tough project and we regularly meet deadlines and last-minute deliveries. We offer user centric and SEO friendly iPhone apps for single users, multi users as well as enterprises. Be it eCommerce, games, healthcare or any other sector, we build an iPhone app for you! With more than 70% of mobile market covered by Android, any company has an advantage if they have an Android app. We design and develop customized Android apps for every industry you ask for. Windows mobile has a small yet steady user base. We are experts at Windows 7 and 8 as well as UI/UX development for all versions of this OS. Rely on us for all kinds of Windows apps! Xamarin offers mobile application development for popular mobile operating systems. We are pro at designing and developing cross platform Xamarin apps. Choose Xamarin to make your business available for majority of mobile users. We offer customized mobile solutions for cross platform usage through Titanium. Choose us to develop apps that are compatible with iOS, Android, Windows, Blackberry and Tizen. Get a Titanium app and spread your business!